Street cleaning initiative in Point Breeze. Katie Katro reports during Action News at 4pm on March 11, 2019. 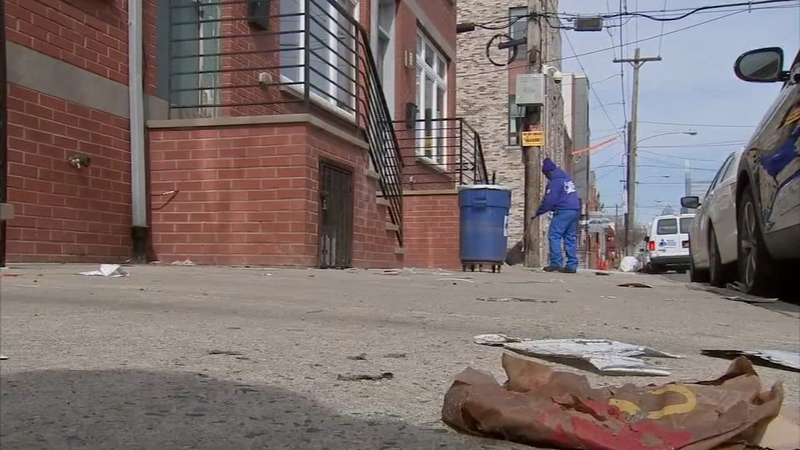 On Monday, Philadelphia City Councilman Kenyatta Johnson announced a new street cleaning initiative. Six men in blue jumpsuits from Ready Willing and Able, which provides transitional work for the homeless, will be cleaning the streets on a weekly basis. "We're going to be coming in and out, one street at a time, picking up as much garbage as we can, helping the city. Our neighbors deserve to have a good place to live," said Anthony Sylvester, a worker with Ready Willing and Able. "They're going to be cleaning up from Washington Avenue to Snyder Avenue from Broad Street to 25th street," said Councilman Johnson. "I think a lot of people don't realize it's up to the individuals, especially the property owners to come out at least once a week and sweep up," said Charles Johnson, a Point Breeze resident. Councilman Johnson is hoping that this project can go on as long as he's on city council and the program has city funding.